PCB manufacturers expect fast, helpful on-site service for their direct imaging (DI), automated optical inspection (AOI), automated optical shaping (AOS) and other mission-critical solutions. To achieve optimal results, and get the full picture before a remedy can be implemented, traditional customer support services rely on long phone conversations, back and forth email communication, large file transfers and site visits for diagnostics and status monitoring. In many cases, an additional site visit is required when the relevant spare parts are not available to implement repairs. In the past, this type of delay was tolerated and even expected. But the needless machine downtime disturbs production timetables, costing lost productivity and revenue. That no longer needs to be the case. With Secora (Secure Orbotech Remote Access), a service engineer at his desk can understand the details of virtually any service issues as if he were right there in your factory. Secora is a secure, point-to-point remote customer support offering being used by many of Orbotech's satisfied global customers. 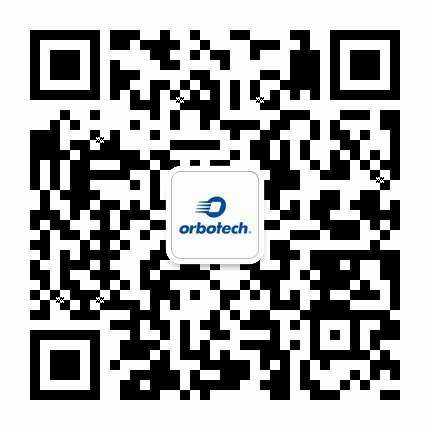 It is part of the Orbotech commitment to fast, professional customer support. To ensure customers’ security, Secora can be activated only by the customer. In fact, Orbotech has made it impossible to connect to a customer's machines until the customer provides digital authorization. Secora allows support experts review setup and configuration files as well as current and historical machine status so that they can identify problems quickly and efficiently. In 2017, Secora was a huge success, helping Orbotech deliver fast, efficient hardware and software customer support to our customers around the world. During that year, in the thousands of Secora sessions with customers, we averaged under 45 minutes per reported issue. Compare that with the hours or even days that scheduling multiple site visits could take in order to quickly realize the major benefit of Secora. With faster service times, your production lines have higher up times which has a positive effect on your bottom line. Secora’s remote capabilities enable support engineers to resolve multiple issues without having to make an on-site visit. In the cases where an on-site visit is also required, Secora maximizes the efficiency of the process by helping to accurately diagnose the problem thereby ensuring that the on-site engineer is equipped with the correct spare parts to resolve the issue. With their vast experience, our remote customer support teams are true experts in the intricacies of Orbotech’s product range. As part of their routine, our teams receive continual product training to ensure that you receive the very best support you could ask for. In 2017, Orbotech successfully completed an upgrade to the entire server-side infrastructure of the Secora system. In addition to improving performance, the new system extends infrastructure capabilities and improves speed and quality of remote sessions. We at Orbotech are committed to providing our customers with the best product experience, and to maximizing our customers' uptime. In the future we plan to make even more improvements and widen the range of solutions served by Secora. If you have not yet experienced the power of our remote customer service solution, we encourage you to contact our customer support team today to learn more.